On November 5, at 2am daylight saving time ends. 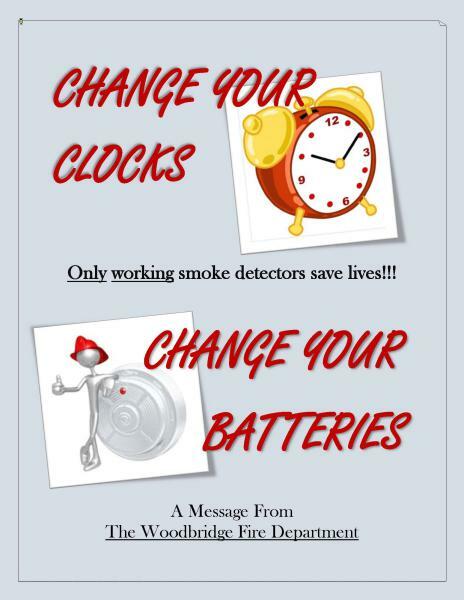 WFD reminds you to change your smoke detector batteries when you change your clocks. Only working smoke detectors save lives!